I’ve been wanting to create a bramble for the longest time. It has everything that I love. 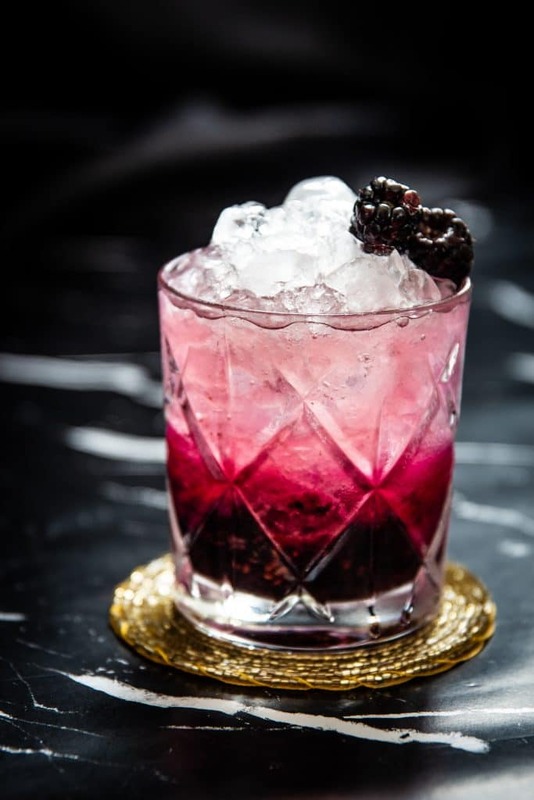 Fresh citrus, gin, blackberries, all strained over crushed ice. Guaranteed delicious. For this cocktail, I decided to shake things up and put the Liquid Culture stamp on this classic. So what does that entail? I’ve replaced the gin with a spritz of Mezcal, a blanco tequila and some beet and blueberry juice to tie in all this goodness! If you’re new to Liquid Culture, first off I’d like to say WELCOME! Secondly, you’ll quickly realize that I have a very real obsession with Agave-based spirits. One of my first educational segments talks about the reality of Tequila and how it’s one of the best spirits you can drink today. 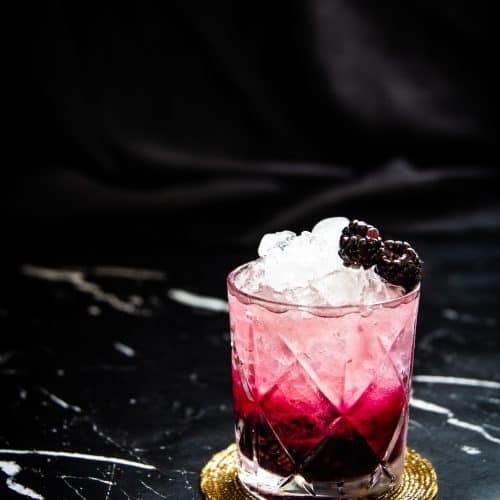 When the idea of creating a bramble came into play, I immediately knew that this cocktail would work wonders with Tequila and a touch of smoky Mezcal. I know I talk about a lot of recipes being a favourite of mine, but this right here is the REAL DEAL, and one that I plan to make again and again. Earlier this week, I introduced the Beet and Blueberry Smoothie for a way to get some mocktails and fresh juices into your life. 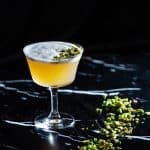 You may have also read that I used this smoothie in an outrageous cocktail, and that my friend is being shared with you today. 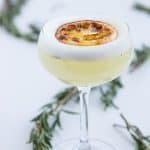 This cocktail is truly unique and has re-ignited my obsession with beets and cocktails. I still use the traditional blackberries for some sharp citrus and a drizzle of Creme de Cassis in this classic. It complimented all the flavour pairings going on in this mix. The only thing I have left to say is…you’re welcome world. 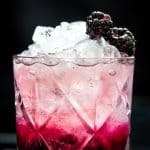 A delicious Bramble cocktail recipe with Tequila, Beets and Blackberries! In a double rocks glass, rinse the inside with Mezcal. Muddle 3 blackberries and pour Beet and Blueberry juice. Fill glass with crushed ice. In a shaker combine Blanco Tequila, Simple Syrup, Lemon Juice and give this a quick shake and strain. 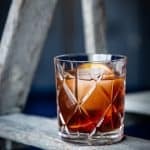 Swizzle to combine the flavours and drizzle the Creme de Cassis over top. Garnish with 2 blackberries. 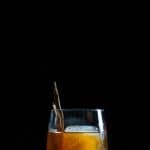 Reminder that all simple syrup recipes on this site uses a 1 to 1 ratio of water and sugar. To access the recipe for the Beet and Blueberry juice, follow the link attached!